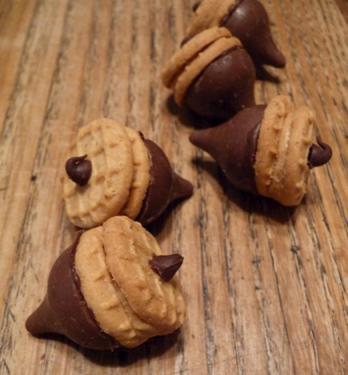 Take a look at what you can do with Hershey Kisses, mini Nutter Butters and mini Nestle’s chips. These are so clever and easy to make. I found the recipe (if you can call it a recipe) and photo at Bargain Hoot. You could wrap them up as a good, little gift for a favorite someone, or you can make some and mail them to me. Posted in Milk chocolate, Peanut Butter. Bookmark the permalink.